What makes a hilarious comedian even cooler? The fact that they started out spitting jokes at hole-in-the-wall venues in your own hometown. We’ve rounded up 9 incredible comedians that constructed their foundations for fame in the Bay Area, and have since become national and international stars! Warning: you may feel some serious hometown pride after reading. And for even more LOLs, check out TodayTix Comedy Month for no-fee sketch, stand-up, and improv tickets, all month long! Get tickets to see a show in the San Francisco Bay Area on TodayTix. Is there anything she can’t do? As a stand-up comedian, actress, fashion designer, author, and singer-songwriter, Margaret Cho is a tattooed quintuple-threat whose roots grow deep in the city by the Bay. She grew up in San Francisco in the ’70s and lovingly describing the city as “…different than any other place on Earth.” With her tour Fresh Off The Bloat making its way around the globe, she surely makes her native city proud. Famous for his ingenious improv skills on Whose Line is it Anyway? 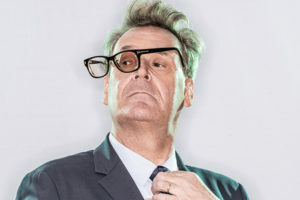 and his acting chops in Star Wars: Episode I – The Phantom Menace, Greg Proops is a true San Francisco success story. The next time you watch Bob the Builder or listen to his podcast The Smartest Man in the World, take note of that voice that’s brought him so far. Perhaps one of the most beloved American comedians of all time, Robin Williams warmed the hearts of children and grandpas alike. 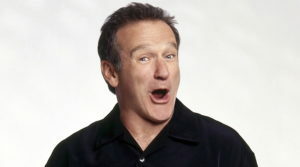 Williams was a leader in the “comedy renaissance” that took place in San Francisco in the ’70s, and the city has a lot to thank him for. His genius performances, ranging from Broadway to stand-up to Aladdin, will inspire generations to come. Ali Wong has been dubbed the “Best of the Bay” by SF Bay Guardian, a Comedy Central “Comic to Watch” in 2010, and so much more. She’s even had her own Netflix special, ALI WONG: BABY COBRA. While she is known for performing her stand-up special while being 7 months pregnant, she is hilarious with or without her baby bump. She’s one bada** woman! W. Kamau Bell is the host of the Emmy-nominated United Shades of America, and he balances his hilarity with his refreshing outspokenness on racial and social justice issues. 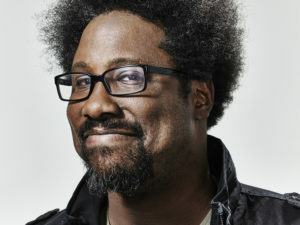 After establishing himself as a prominent sociopolitical comedian in San Francisco, Kamau Bell has gone on to win the hearts of people across the country. This New York native has been a San Fran comedy star since the mid ’80s. Marga Gomez is a comedian, playwright, and humorist who’s style has been described as “salaciously surreal” by the San Francisco Chronicle. Gomez even shares her comic insight as a teacher! 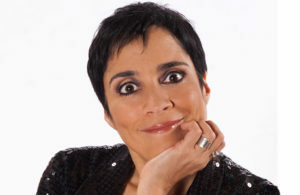 If you ever get the chance to see her perform (or be her student), you’ve got to let this marvelous Latin lesbian make you laugh. 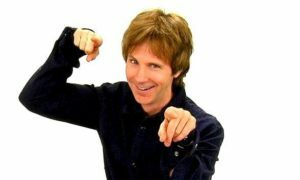 No way, Dana Carvey got his start in comedy in San Francisco? Way. He’s an SNL legend and the genius actor behind the iconic Garth Algar in Wayne’s World. While studying at San Francisco State, Dana started doing impressions and creating his own hilarious characters for comedy crowds. That was just the beginning of a lifetime of laughable personas! He’s called “The Pitbull of Comedy” for a reason (referring to the dog, not the bald-headed “Mr. Worldwide” rapper). 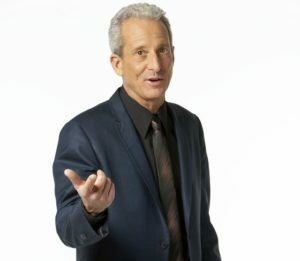 Complaining, story-telling, and insults are a common theme in Bobby‘s stand-up work, which has gotten him gigs from Family Guy to a stand-up special on HBO. This guy has been barking since starting stand-up in San Francisco at the age of 22, and he shows no signs of stopping anytime soon. 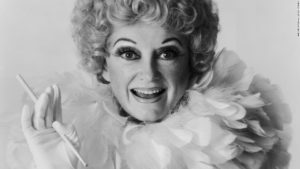 Phyllis Diller inspired names like Ellen DeGeneres and Joan Rivers with her eccentric stage persona and her over-the-top laugh. She was both a star of the screen and of the stand-up scene from the ’50s to the 2000s. Her ground-breaking talent was first discovered while living in the Golden City, and it brought her to incredible places. Diller’s self-deprecating humor, wild hair, and ferocious laugh ring loud and proud in the halls of comedy history! There you have it, 9 comedy masters straight outta the Bay Area! Who’s your favorite local comedian? Let us know on Twitter and Instagram!